Ingredients: For 2-3 servings approx. In a shaker, mix coconut juice, sparkling pear juice and Ice. Shake for couple of minutes. Pour in tall glasses. 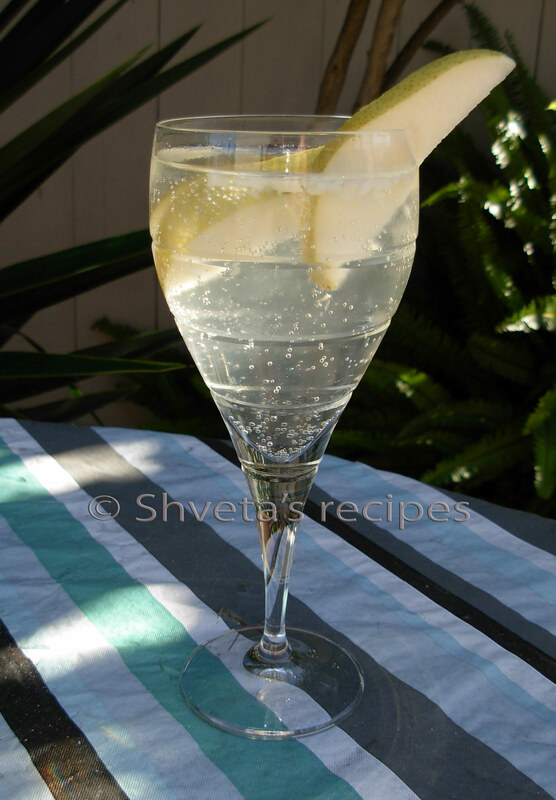 Add 3 slice of fresh pears in each glass and garnish with one slice. Enjoy this refreshing drink in a sunny afternoon on your porch.